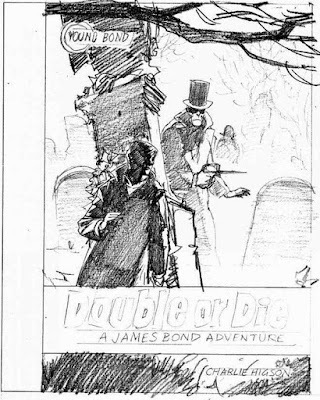 Illustrated 007 strikes again, this time showing us Kev Walker’s original cover concept sketch for the U.S. hardcover edition of Charlie Higson’s Double or Die. 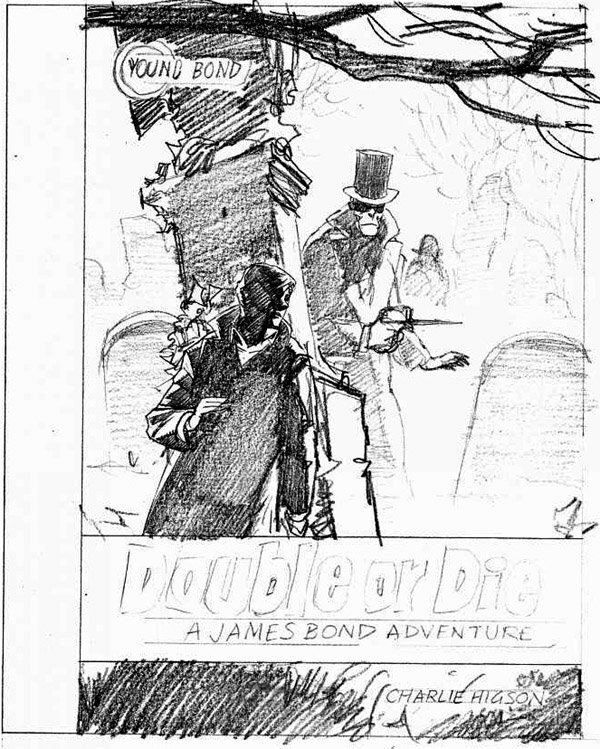 This art appeared largely unchanged on the hardcover released in 2007 and, as we revealed last week, will also appear on the paperback edition due out on March 10, 2009. This cover proved so popular that Disney asked Kev to redesign the covers of SilverFin and Blood Fever using a similar “Bond vs Villain” theme for new paperback editions due next year.